It's interesting how many mIRC quirks and limitations there are in emulating the behavior of the standard ^k color pallet. Seems every approach leads to new and varied sorts of dead ends. 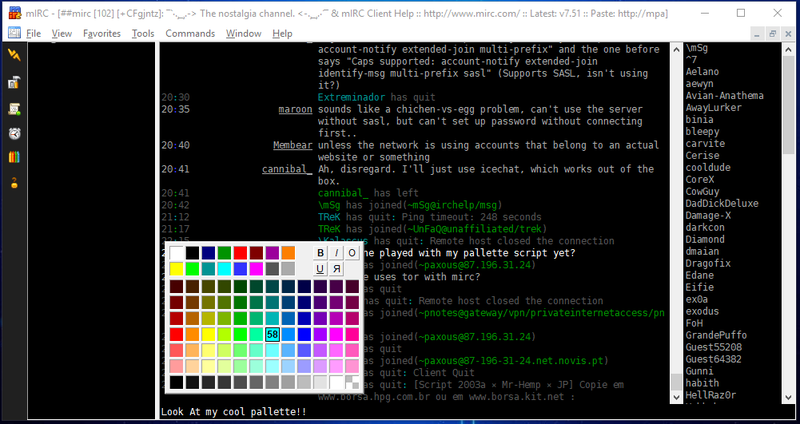 Nice job man, do you know is possible set a news colors in background of windows (channel, private, @window)?